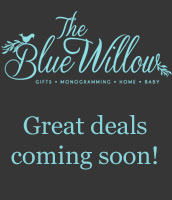 Thank you for shopping with The Blue Willow! We know that our customers are the most important part of our business, and therefore, we are committed to providing you with a secure and private way to shop. We respect your personal information and you can trust that we will not use it in any way other than it was intended. 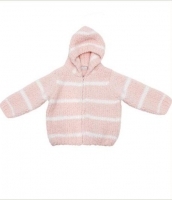 We may request personal information such as name, address, phone number, email address and payment information on our order form. This is for billing purposes and to fill your order. If we have problems processing your order, this information is used to contact you. We do not provide any of your information to third parties for any purpose other than order fulfillment. Please feel free to contact us if you ever have any questions or concerns regarding your privacy or personal information. We may use the personal information that you provide to contact you in the future for offers, promotional, events, etc. You can opt out of these communications at any time by emailing ? @thebluewillow.com. 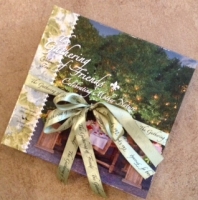 Additionally, we would love to hear from you when you move, change your email or get a new last name! Help us stay in the loop. No internet transmission is 100% fully protected. However, we do everything we know possible to secure our customers personal information. Any transaction on our site that deals with personal information (especially orders with credit card information) is secured with the latest encryption technology. Look for the https:// in your browser when you begin to check out. 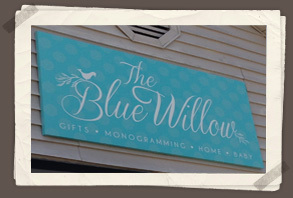 We reserve the right to modify or change any information on TheBlueWillow.com at any time. Your use of TheBlueWillow.com website constitutes your acceptance of all terms and conditions.